Make sure to check your gauge for best fit! 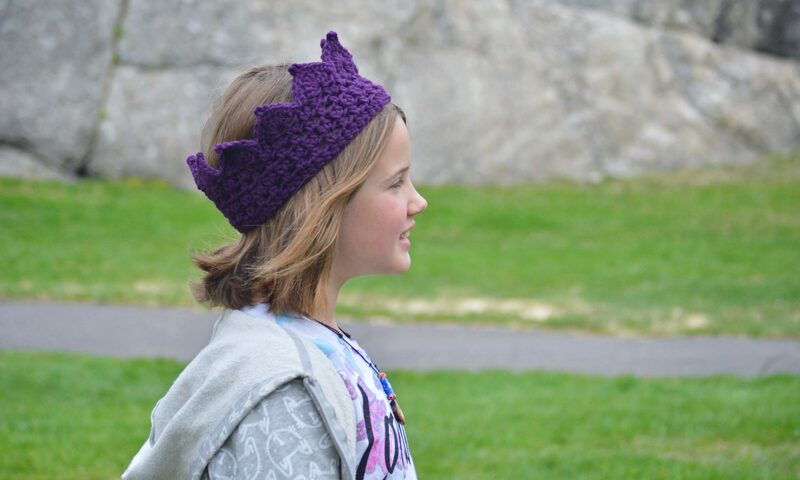 This pattern uses a Foundation Single Crochet. 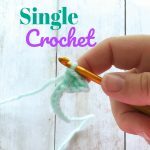 If you need help with this technique you can follow this link to view my video tutorial for the Foundation Single Crochet and post about Foundation Crochet Stitches. 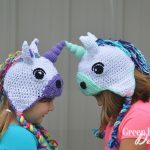 This pattern also uses color work or tapestry crochet techniques. I have included a photo and video tutorial below to help you with this technique! I think it is really fun once you get the hang of it! 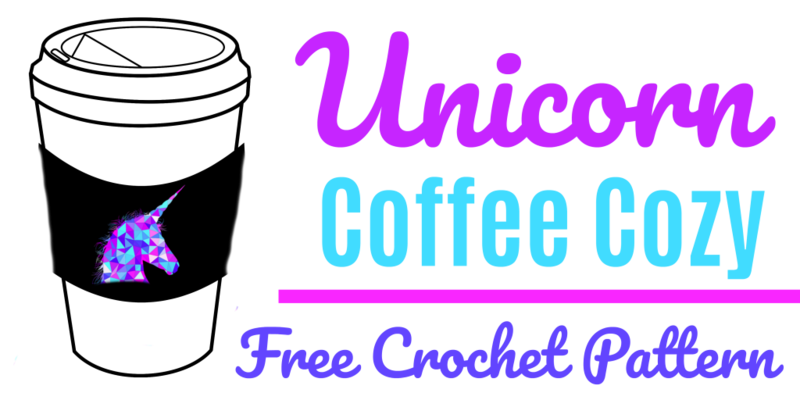 Crocheting from a graph: The pattern is created in the round using 2 repeats of the unicorn graph below. 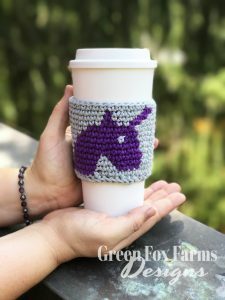 Each Round consists of working stitches 1-20 twice, following the color changes written in the instructions, or from the chart. The chart is worked from the bottom to the top, from right to left, following the numbers indicated. Chart is located below the written instructions. 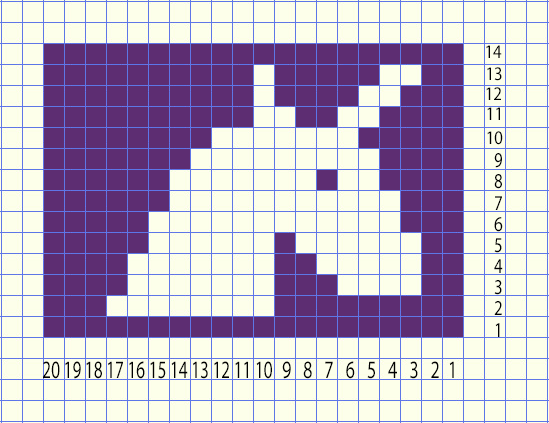 Each square on the chart represents 1 sc stitch. On the chart, the MC is pictured in purple and the CC is pictured in pale yellow. The written instructions will indicate the stitch numbers to be worked in parentheses before the group of stitches. — Ex. (1-9) with MC sc in the next 9 st, changing to CC in the last st.
To change colors from CC to MC, complete the number of stitches in CC indicated by the pattern, stopping at the last stitch. Create your last sc by inserting hook and pulling up a loop as usual. Drop the CC and pick up the MC yarn, yo and pull through both loops on hook with MC, sc completed. Continue to create as many stitches as indicated in the pattern with MC. See photos below. To change colors from MC to CC, complete the number of stitches in MC indicated by the pattern, stopping at the last stitch. Create your last sc by inserting hook and pulling up a loop as usual. Drop the MC and pick up the CC yarn, yo and pull through both loops on hook with CC, sc completed. Continue to create as many stitches as indicated in the pattern with CC. See photos below. >> BOTH METHODS CONTINUE HERE: See chart below for a visual of color changes within each Round. 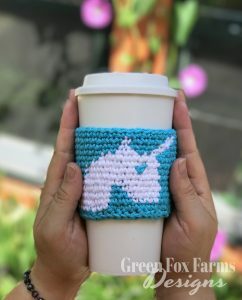 Round 14: ch 1, with MC sc into each st around (40 sc) FO, weave in your ends, and you are ready to enjoy some COFFEE with your amazing, new, made-by-you Unicorn Coffee Cozy! Woot! 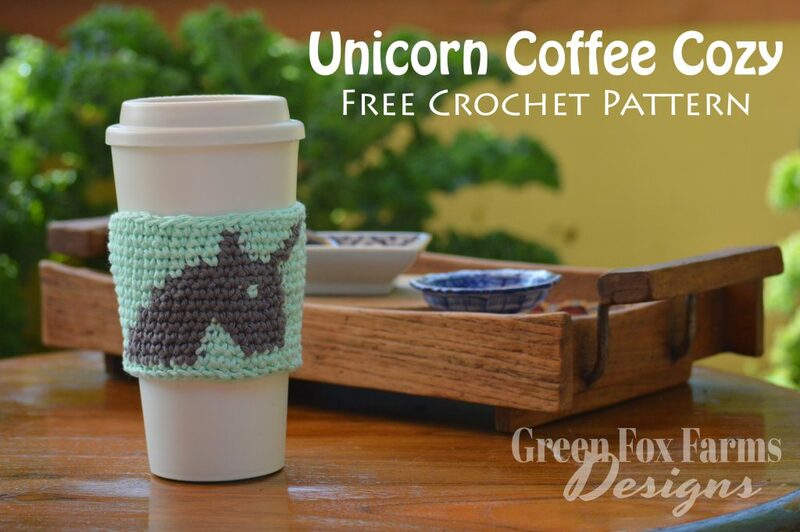 <<< Free Printable Coffee Cozy Holder! 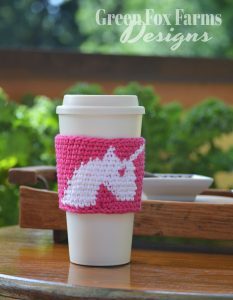 Just for fun I made this Printable Holder for your amazing Unicorn Coffee Cozy! 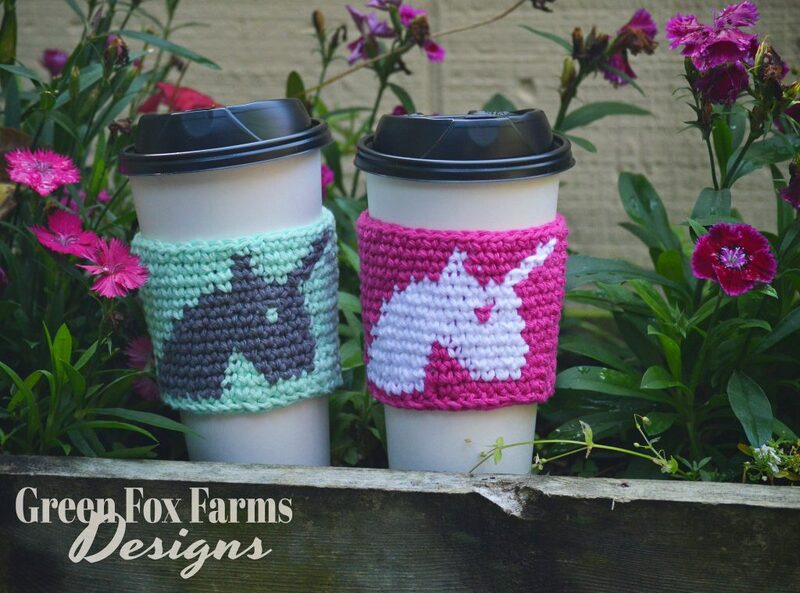 You can use these as a great way to give the cozy as a gift, or if you are selling these (see details above ^) this would make a great display! Click the link above to download the Free Printable! 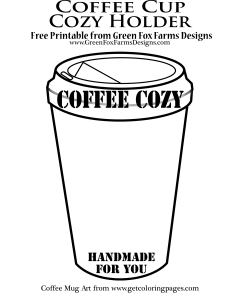 Then, just print these out on cardstock, cut around the cup and you’re all set! You may need to use a pin or bobby pin to keep these in place, but I didn’t find I needed to use one! You could even punch a hole in the top to put them on a peg display. 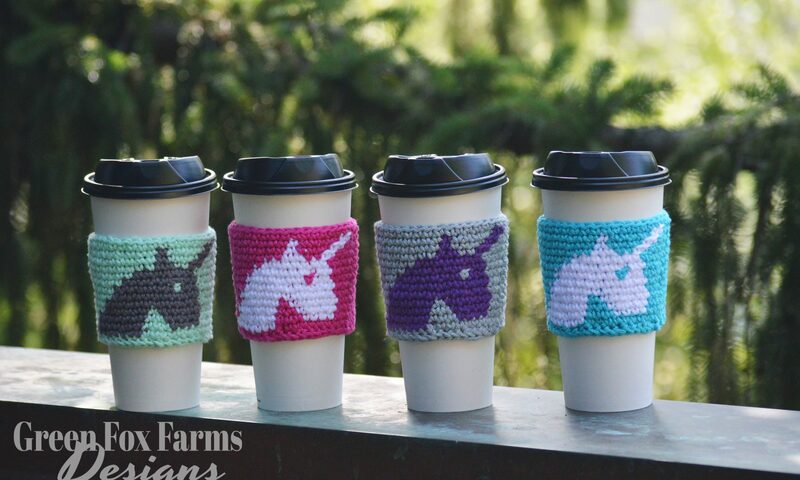 Great for Fall Craft Shows! That’s it! 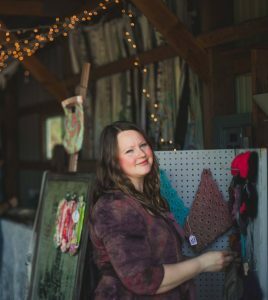 I can’t wait to see your creations! 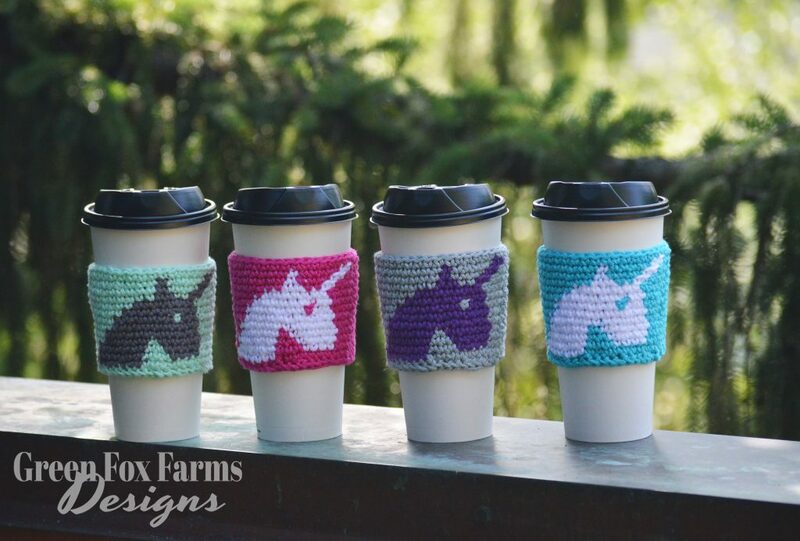 Please share your finished Unicorn Coffee Cozy on Ravelry and social media! Don’t forget to tag me in your photos so I can see what you’ve made! 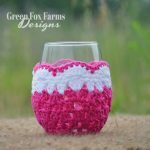 If you enjoyed this pattern and want to see other Free Crochet Patterns like this one, please share my Blog Post with your friends and subscribe to my newsletter! Use the social media buttons above or below! Thanks you for your support! 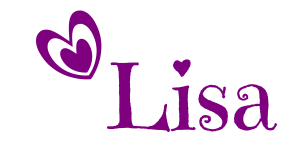 Please don’t hesitate to contact me with any questions you may have, I am happy to help!